Old map by HOMANN HEIRS. -Theoria Eclipsium. . . Title: Theoria Eclipsium. . . Size: 19.1 x 22.4 inches. Condition: In good condition. Two small worm holes. Possible old repair to upper centrefold. Good margins. This interesting chart provides a comprehensive display of lunar and solar eclipses. The chart is centered on a map depicting the path of the solar eclipse of May 12, 1706 across Europe and Northern Asia. With plenty of information and explanation. 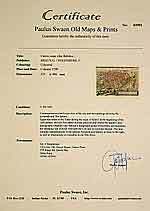 Johann Gabriel Doppelmayr was a professor of mathematics at the Aegidien Gymnasium in Nuremberg. 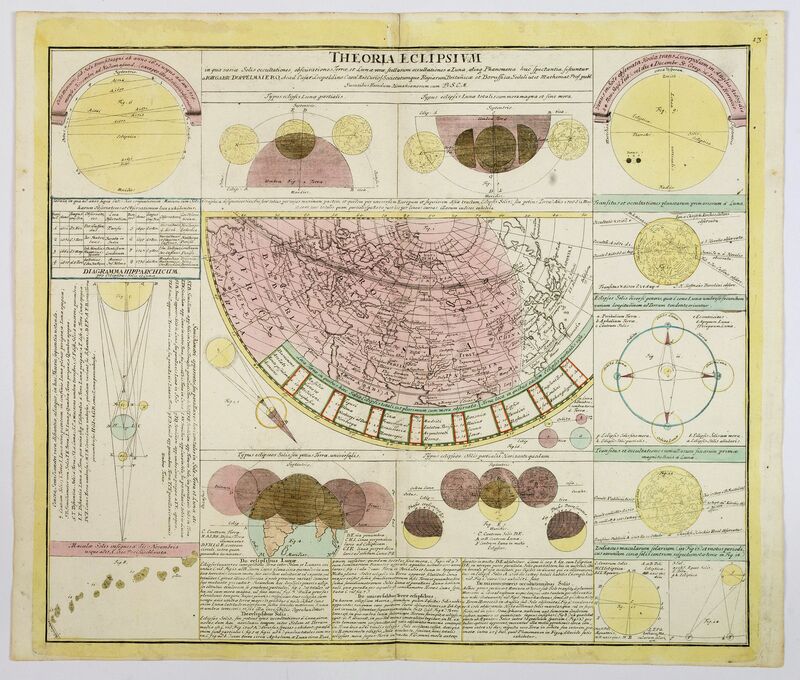 Doppelmayr and Johann Baptist Homann were frequent collaborators in producing celestial and astronomical charts for atlases. This chart was engraved between 1735 and 1742 and appeared in the two major compilations of Dopplemayr’s works published by Homann Heirs, Atlas Coelestis in quo Mundus Spectabilis... in 1742, and the revised edition Atlas Novus Coelestis... in 1748.